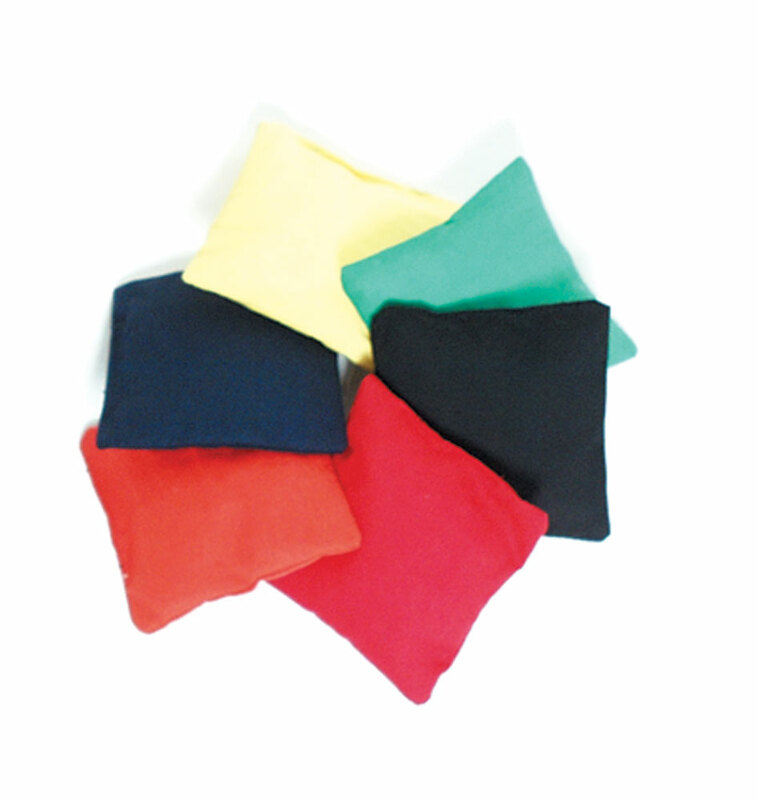 BEANBAGS This set of 12 bean bags is made of soft cloth, for extra safety and comfort. Each 4-inch, square bean bag is approx. 2.5 oz. Set includes 2 each of green, yellow, black, navy, red, and orange. Easy to toss and catch, these fit well into the palm of your hand. Machine washable. Filled with Poly-Styrene beans.